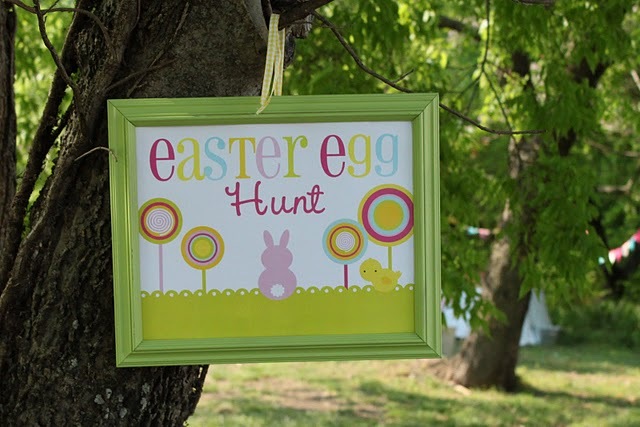 Mariah put together a super cute Easter Egg Hunt Party that she shared on Show and Tell Saturday and I wanted to make sure that you saw it. 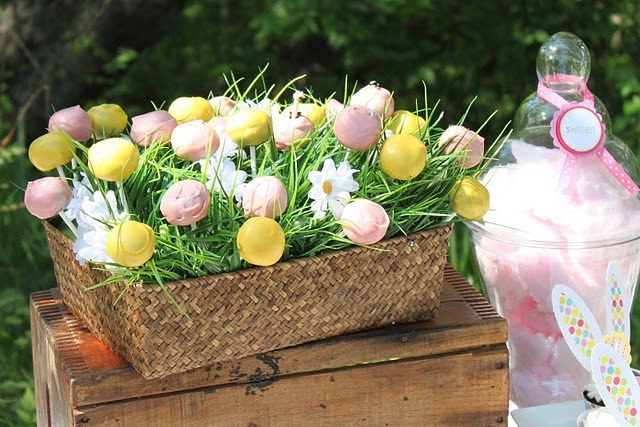 My favorite was the cake pop flower pot. I know I said I was sort of over the whole cake pop thing, but I couldn't resist how simple this idea was. She didn't even decorate them to look like flowers. And if you don't like cake pops, you can easily just dip donuts into candy melts to get the same effect. She used Mique's bunny cupcake idea I love how she dressed up the ears with some patterned paper. 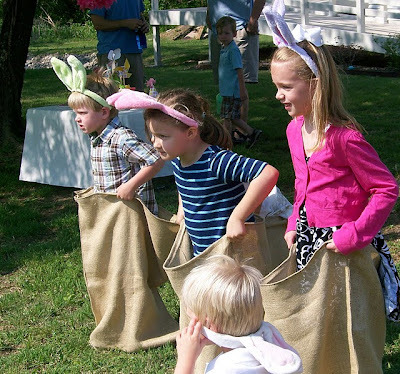 And instead of a regular old potato sack race, she added a set of cute bunny ears and they had a bunny hop race. 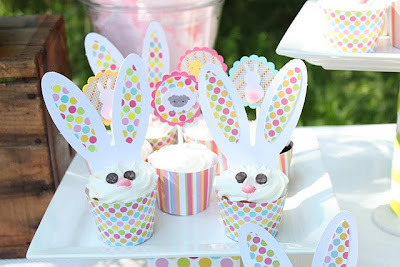 You can see the rest of this cute Easter party over at Giggles and Galore. Have you ever actually eaten a cake pop? I've made the Bakerella cup cake pops!! I made funfetti ones! YUMMM!!! I love cake pops. They travel well too. That is darling. Sort of makes me feel like our family get together at the park is not sufficient. i'm with char. cake pops = BLEH! theyre really cute but not tasty. Char, oh yes. I have made them for many an occasion. I actually like the original Oreos version the best. Mmmm . . . cake pops!